The Witcher is all about choices, and today developer CD Projekt Red chose to plunge another dagger into gaming's collective heart by delaying The Witcher 3 until May 19, 2015. "With this in mind, we took another look at current workloads and what they mean for the team. 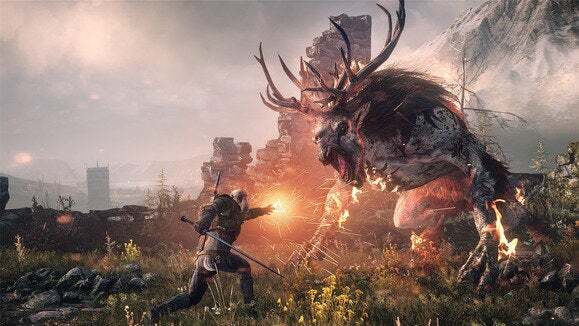 Even though everyone is working at full speed, we concluded that we need another 12 weeks, so we are shifting the release date of The Witcher 3: Wild Hunt to May 19th, 2015. "We owe you an apology. We set the release date too hastily. It’s a hard lesson, one to take to heart for the future. We know what we want to do to make Wild Hunt one of the best RPGs you will ever play. And we continue to work hard to achieve just that. So, we apologize and ask for your trust." And hey, it's not all bad. With The Witcher 3 delayed you'll have more time to play the stupefying number of February/March releases this year— Evolve, Pillars of Eternity, Batman: Arkham Knight, et cetera.